As the world develops at supersonic speed, so does the way security technology companies radically transform. Companies that will help countries leapfrog to the much vouched fourth industrial revolution are those that leverage on innovation, advancement and maintaining customer satisfaction in all business dealings. 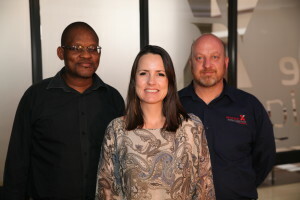 A case in point is the South Africa Security Solutions and Technology (SASSTEC) Group a pioneering producer of advanced integrated security solutions in South Africa, with branches operating in Gauteng, KwaZulu-Natal, Free State, Northern Cape, the Western Cape and other African countries. SASSTEC focuses on a range of IT and integrated security solutions to state institutions, businesses and other enterprises, doing installations and support work across international borders with technicians frequently travelling to remote locations, while some support functions are handled by core staff based in Johannesburg. “What sets us apart from others is that we are a proudly South African company, which builds new products and innovations with the country itself and apply them here and into Africa,” says Annabel Cilliers the COO of Xtreme Intelligence Systems, one of the subsidiaries of SASSTEC Group which focuses on electronic security solutions. Since inception in 1994 the SASSTEC Group has over the years expanded into various sub-companies which include SA Fence & Gate which services all fencing security installation needs, Integritron, Tavhara which specialises in design, engineering and manufacturing and Civil-Quip, the civils, plant and equipment division of SASSTEC. Xtreme Intelligence Systems is the latest addition to the stable. The Group employs 1200 people, and in the last five years has recorded a turnover of between R300 million and R500 million per annum generated from the private and public sector.In that period the Group has directly contributed in excess of R200 million to the South African fiscus. Created in 2008, Integritron Solutions has rapidly grown in its capability to understand and implement solutions that are practical, cost-effective and well maintained. Its contribution to scarce skills development in the country, particularly in the IT sector is significant. “Integritron is made up of highly skilled Electronic Engineers, Design Engineers, Systems Analysts, Security Technicians, ICT Engineers, Operations and Project Managers. We provide security-centric, technology-based solutions for our wide range of industries, and our success hinges on building strong relations with clients,” says Stanley Nhliziyo Product Specialist and Lead Business Analyst. One of the flagship projects that Integritron has shown its mettle for successful, and timely delivery is the supply, installation, commission and maintenance of a development framework for an Integrated Inmate Management System (IIMS) for the Department of Correctional Services. This is an e-governance tool that entails automation of operations within the country’s correctional system that manages and provides much-needed visibility into the full inmate lifecycle. The other subsidiary is SA Fence & Gate which for the past 20 years has continued to record great success for the group by investing in, and providing unmatched levels of mastery and efficiency that assist in minimising unnecessary expenses and maximising the value to be added to projects. “The company boasts a team of skilled individuals that are able to facilitate intelligent design and flawlessly executed projects for high-end security facilities. These include the likes of clients such as The Department of Defence, Eskom, Prasa and The Department of Correctional Services. 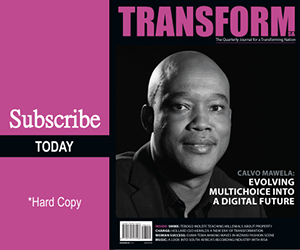 The scope of work consisted of Design, Installation, Commissioning and Maintenance,” says Cilliers. There is also Xtreme Intelligence Systems which develops software and technology solutions. 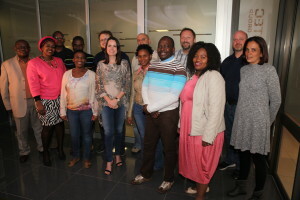 “We have developed a framework that has been used successfully to foster rapid software development, integration and deployment in various industries,” says Cilliers. Xtreme Intelligence Systems has world class products that allows all monitoring and measuring devices that have the ability to communicate to be seamlessly integrated with one another. This promotes integration and interoperability that protects investments and assets.